In a statement issued by an unnamed foreign ministry spokesman and carried by the Korean Central News Agency, the North lashed out at the United States for seeking unilateral and forced denuclearization from Pyongyang. The statement came hours after U.S. Secretary of State Mike Pompeo wrapped up his two-day trip to Pyongyang aimed at hashing out measures to implement the June 12 summit agreement in Singapore, at which their leaders agreed to work toward complete denuclearization of the Korean Peninsula. "We expected that the U.S. side would come with productive measures conducive to building trust in line with the spirit of the North-U.S. summit and [we] considered providing something that would correspond to them," the spokesman said. "The U.S. just came out with such unilateral and robber-like denuclearization demands as CVID, declaration and verification that go against the spirit of the North-U.S. summit meeting," he added, calling the talks "really disappointing." CVID stands for complete, verifiable and irreversible dismantlement of the North's nuclear program, an oft-cited demand by Washington for Pyongyang. 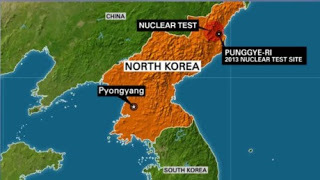 The spokesman apparently rejected the U.S. demand and reiterated Pyongyang's call for a "phased" and "synchronous" approach, saying that it would be the shortest way to realize a nuclear-free Korean Peninsula. "It would be the shortest path toward realization of the denuclearization of the Korean Peninsula to ... boldly break away from the failure-ridden methods of the past, push for whole new approaches and seek to resolve problems one by one based on trust and in a phased and synchronous principle," he said. The North's relatively harsh tone contrasts somewhat with what Pompeo said after holding talks with Kim Yong-chol, a close aide to North Korean leader Kim Jong Un, for two straight days from Friday, though he also admitted that there was "more work to be done."